Disclaimer: These tax savings tips for real estate investors 2019 blog post based on articles written by CPA’s provides general tips made by these CPA’s. You should not interpret these tips as complete tax, legal, or accounting advice. Consult with your accountant, tax lawyer, or another tax expert about these tips and if they pertain to your specific situations. The last tax reform law created several new tax savings for real estate investors in 2019. The last tax reform law limits the amount deducted for mortgage interest and property taxes on our primary homes. But, these limitations do not apply for real estate investments. Thus, whether you are a flipper or a landlord, these deductions still apply to you. You can deduct the full property taxes and interest paid for your investment properties. The new tax reform law allowed the IRS to take away the home equity line of credit (HELOC) interest deduction for primary homes. However, by taking out a primary home HELOC and using the money for real estate investments qualifies to deduct the interest against flip income and rental income. Speak with your tax advisor about the best way to make these interest expense deductions. The tax reform law does provide you with a 100% bonus depreciation in 2019. Therefore, as a real estate investor who buys appliances, equipment, furniture, computers, and other assets for your real estate business you get immediate 100% write-offs from those expenses. No more multiple years of depreciation! Also, the bonus depreciation applies to individual investors and legal entities too. In addition, it applies to new or used assets. Flippers, wholesalers, real estate brokers & agents, and syndicators could qualify for the new 20% tax-free treatment. Thus, the first $20 of every eligible taxable income of $100 may be totally tax-free. The remaining $80 become taxable. Read this article to learn more about this new 20% tax-free treatment. The new 199A rule allowing 20% pass-through deduction applies to LLC’s and S-Corporations allowing the company to avoid paying taxes. Instead, the taxes pass-through to their owner. You operate your rental business as either an S Corporation shareholder, an LLC, a sole proprietor, or a partner in a partnership. Your total net taxable income (after deductions) is lower than $315,000 as a married couple filing a joint tax return or $157,500 as a single taxpayer. The IRS came out with nice safe harbor rules applying to all investors and landlords, even for short-term rentals. A 20% tax-free treatment exists for different types of real estate investors. Includes those doing the BRRRR strategy. Read this article for more information. Want to avoid paying capital gains tax on your next appreciated rental property sale? Or maybe you want to sell part of your appreciated stock investment to buy real estate? You now have an opportunity to defer the capital gains tax by using the new Opportunity Zone laws. Like a 1031 Exchange, the new Opportunity Zone defers your capital gain tax if your sales proceeds are invested within 180 days. Hold onto the Opportunity Zone asset for five years and part of your deferred gain becomes permanently tax-free. Also, hold onto your investment for more than 10 years and 100% of the gain on the sale of your Opportunity Zone property becomes permanently tax-free. The new tax law allows investment property taxes deductions up to $10,000. However, taxpayers must choose between either their state income/sales taxes or their property tax. Businesses happy that the new law cut the 35% corporate tax rate to 21%. Thus, greater tax advantages exist for real property investors using corporations to hold title to income producing properties. According to Forbes, the new law also effects Section 1031 of the IRS Code. The new law repealed using personal property in 1031 Exchanges to defer their capital gain taxes. Only real property qualifies for 1031 Exchanges. Forbes recommends shifting the newly unqualified personal and intangible properties investments into real estate. Before the year ends speak with your tax advisor about how you contribute to your retirement instead of giving it to the IRS. You can contribute up to $56,000 and reduce your tax bill while that money grows for you as a tax-deferred real estate asset. However, the amount of income you earn in 2019 determines what the best type of retirement account you need and the maximum contribution amount. Plan with your tax advisor about this contribution before filing your 2019 ta year ends. Real estate investors know how to deduct rental related expenses like taxes, interest, management fees, etc. But, other legitimate deductions exist that many real estate investors miss. Some of these may not be property specific. 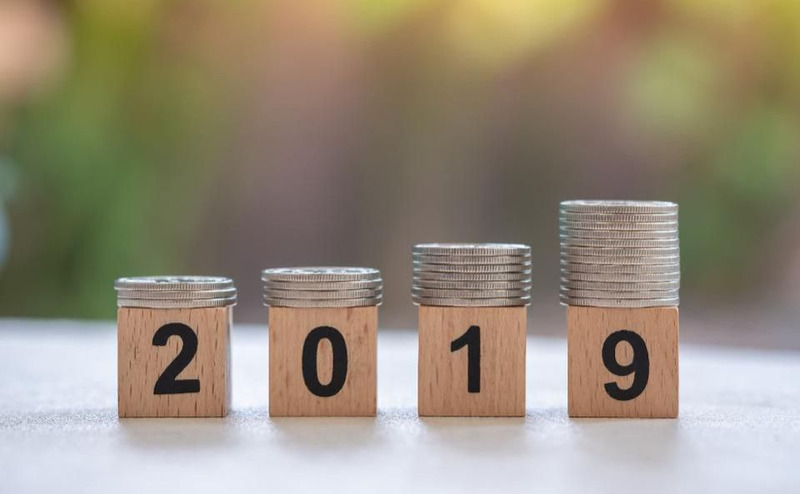 These tax savings tips for 2019 lets you keep more money for future real estate related investments. As you should already know, it’s not so much about how much money you make; it’s about how much you get to keep. Yes, you can deduct the full fees charged by escrow companies on all your real estate investments closing. Want to Experience a Smooth Real Estate Investment Closing? Using an experienced escrow company for your next closing ensures a smoother closing. Contact Us to learn how we save you time and money by handling your entire real estate closing. In addition, we provide escrow services throughout California for all other assets.